Victoria averages more than 2,000 hours of sunshine per year, and thanks to the city's mild climate, several kinds of bananas grow well here. Thetis Lake in Victoria is known as "bottomless" because the lake is so deep that no one has accurately been able to measure the depth. Victoria's Chinatown is the oldest in Canada, and the neighborhood is also home to Canada's narrowest street: Fan Tan Alley. Victoria BC has the second-highest number of restaurants per capita in North America; only San Francisco has more. 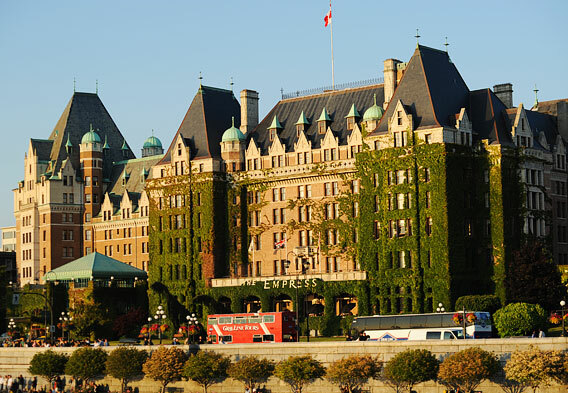 The Fairmont Empress Hotel serves more than 750,000 cups of tea annually. The city of Victoria lies on the southern tip of Vancouver Island off the Pacific Coast of the Canadian province of British Columbia, 62 miles west of Vancouver, British Columbia and 62 miles from Seattle in Washington State. Victoria is well known for its architecture and scenic waterfront, with the Inner Harbour being one of the most popular areas among visitors. 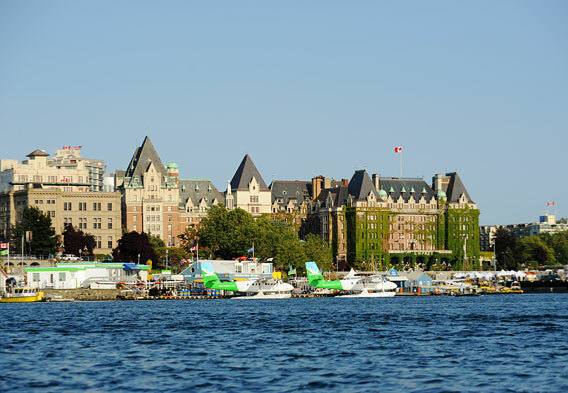 The iconic British Columbia Parliament Buildings are located along the harbor, not far from The Empress Hotel. The neo-Baroque dome of the Parliament buildings is one of the most recognizable sights in the city, and the building and its beautiful grounds are open for tours as well. Sheltered by the rain shadow effect of the nearby Olympic Mountain range, Victoria is blessed with temperate weather year-round, making it one of the sunniest places in all of Canada, and its beautiful gardens, green space, and architecture are attractive to travelers as well. Each year, Victoria hosts 3.5 million overnight visitors and another 50,000 daytime visitors arriving on cruise ships. The city is one of the oldest in the Pacific Northwest. The area was originally inhabited by the indigenous Songhees Tribe of Coast Salish peoples and explored by Juan Perez and Captain James Cook in the late eighteenth century. In 1841, fur trader James Douglas established a trading post for the Hudson Bay Trading Company, later renamed Fort Victoria after England’s queen. Over the next several decades, Victoria grew due the Fraser Canyon gold rush and the establishment of the Royal Navy at nearby Esquimalt and eventually became part of British Columbia. Over time, the city’s focus shifted toward architecture, real estate, tourism, and the arts, fondly captured by writers such as Rudyard Kipling. In 1903, the University of Victoria opened its doors. Colorful Butchart Gardens opened in 1904, and the regal Empress Hotel opened in 1908. The city experienced further real estate growth just before World War I, adorning the city in many beautiful Edwardian buildings that are still standing. The heart of Victoria is the Inner Harbour, a charming waterfront walk surrounded by some of Victoria’s most popular locations. Victoria is one of the best walking cities in the world, with beautiful walking paths and bike trails as well, and the many buskers and artists in the Inner Harbour neighborhood are among the perks to exploring on foot, along with the terrific views and array of restaurants and shops to check out. The ivy-covered Empress Hotel is the premiere place to stay in the city, and its traditional high tea is one of Victoria’s most honored traditions. Considered among the best hotels in the world, the Fairmont Empress is one of the oldest city, and the iconic Victorian structure is one of the most recognizable icons of Victoria BC. Across the street is the fascinating Royal British Columbia Museum, treating visitors to a journey through the history of the province. Across the street are the imposing Legislative Buildings, which twinkle with lights every night. The Inner Harbour is also the embarkation point for many horse-drawn carriage rides throughout the city and popular whale-watching tours excursions. Victoria’s comfortable climate makes it popular for outdoor activities, including hiking, biking, golf, cycling and kayaking. 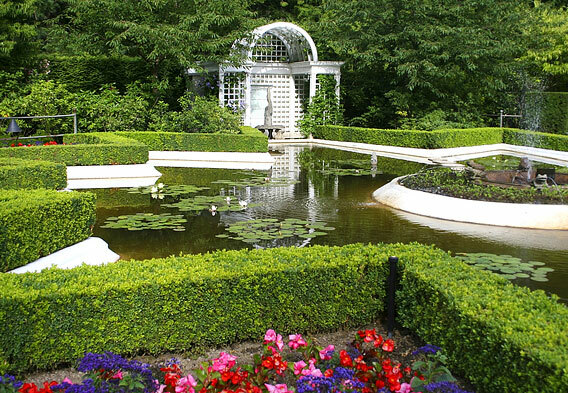 A short distance from the Inner Harbour is Beacon Hill Park, 185 acres of green space along the city’s southern shore, popular with residents for cricket playing fields, outdoor concerts, manicured gardens and a petting zoo. Butchart Gardens is perhaps the best example of Victoria’s reputation as a “City of Gardens”, with dramatic botanical displays of color drawing more than one million visitors annually. Visit one of the many historic buildings throughout Greater Victoria, including Government House, the official residence of the Lieutenant-Governor of British Columbia. Craigdarroch Castle, built by politician, Robert Dunsmuir, is located nearby. His son, James Dunsmuir, built Hatley Castle, now part of Royal Roads University, and it is open for public visits. Victoria’s Chinatown is the second oldest in North America after San Francisco, and boasts the narrowest alley in all of Canada.